The Grüsch-Danusa ski area can be reached from Zurich in just over an hour and provides an official training slope for ski tourers. There is also a ski tour evening every Thursday. Coming from Zurich via the A3 / A13 to the Landquart exit. Take the direction Davos to the exit Grüsch and turn right at the sign >Bergbahnen<. Then over the bridge and immediately right again to the valley station of the Grüsch-Danusa mountain cableways. There is a parking lot for all guests (1 CHF per hour). Depending on the snow conditions, either from the car park of the valley station on the marked touring ski slope, or in case of little snow start from the middle station Cavadura to the mountain station Schwänzeleg (see ascent route). The descent also takes place via the ski slope opened on the evening of the tour. So along the ascent path. Easy, but depending on the starting point, with 600 to 1161 m altitude not very short ski tour on a prepared ski slope in a controlled ski area. If you start from the valley station with 1161 m total climb and 5 km distance plan at least 2 hours, depending upon your condition. 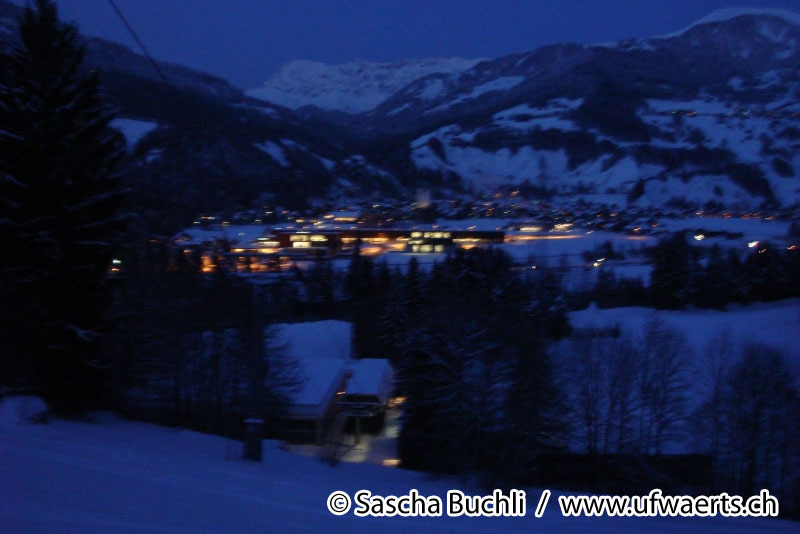 In the Berghaus Schwänzelegg there is a >Fondueplausch< (fondue fun) and music in addition to the regular tour evenings on Thursday evening until 9 pm on 15.02.2019. Ski tours in the evening only on Thursday evening from 5 p.m. to 9 p.m. on the specially defined slope ( valley station, mid-station Cavadura to mountain station Schwänzelegg).